For other uses, see Pinsk (disambiguation). 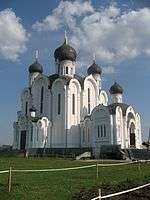 The Assumption Cathedral in Pinsk. Pinsk (Belarusian: Пі́нск, Pinsk; Russian: Пи́нск, Pinsk; Ukrainian: Пи́нськ, Pyns'k; Polish: Pińsk; Yiddish/Hebrew: Pinsk ,פינסק‎‎, Lithuanian: Pinskas) is a city in Belarus, in the Polesia region, traversed by the river Pina, at the confluence of the Strumen and Pripyat rivers. The region was known as the Marsh of Pinsk. It is a fertile agricultural center. It lies south-west of Minsk. The population is about 130,000. The city is a small industrial center producing boats sailing the local rivers. The historic city has a restored city centre full of two-story buildings dating from the 19th century and the beginning of the 20th century. The city centre has become an active place for youth of all ages with summer theme parks and a newly built association football stadium that houses the town's football team, FC Volna Pinsk. Pinsk is first mentioned in the chronicles of 1097 as Pinesk, a town belonging to Sviatopolk of Turov. The name is derived from the river Pina. 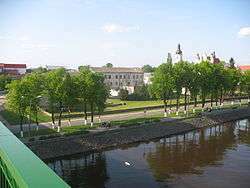 Pinsk's early history is closely linked with the history of Turov. Until the mid-12th century Pinsk was the seat of Sviatopolk's descendants, but a cadet line of the same family established their own seat at Pinsk after the Mongol invasion of Rus in 1239. The Pinsk principality had an important strategic location, between the principalities of Navahrudak and Halych-Volynia, which fought each other for other Ruthenian territories. Pinsk did not take part in this struggle, although it was inclined towards the princes of Novaharodak, which is shown by the fact that the future prince of Novaharodak and Vaišvilkas of Lithuania spent some time in Pinsk. In 1320 Pinsk was won by the rulers of Navahrudak, who incorporated it into their state, known as the Grand Duchy of Lithuania. From this time on Pinsk was ruled by Gedimin's eldest son, Narymunt. Afterwards, for the next two centuries the city had different rulers. In 1581 Pinsk was granted the Magdeburg rights and in 1569, after the union of Lithuania with the Crown of the Polish Kingdom, it became the seat of the province of Brest within the Polish-Lithuanian Commonwealth. From 1633 on Pinsk had a secondary school, a so-called brotherhood school (the brotherhoods were religious citizens' organisations with the aim of providing education for their members and their children). During the Cossack rebellion of Bohdan Khmelnytsky (1640) against Polish king John II Casimir, it was captured by Cossacks who carried out a pogrom against the city's Jewish population; the Poles retook it by assault, killing 24,000 citizens and burning 5,000 houses. Eight years later the town was burned by the Russians. In 1648, on the eve of the Russo-Polish War (1654-1667), Pinsk was occupied by Ukrainian Cossack army under commander Niababy and could only be reconquered with great difficulty by Polish prince Janusz Radziwiłł, a high-ranking commander in the Polish-Lithuanian army. During the war between Moscow and the Polish-Lithuanian Commonwealth (1654–1667) the city suffered heavily from the attacks of the Muscovite army under Prince Volkolnsky and its allied army of Ukrainian Cossacks. Charles XII took it in 1706, and burned the town with its suburbs. In spite of all the wars the city recovered and the town developed with the existence of a printing workshop in Pinsk from 1729-44. Pinsk fell to the Russian Empire in 1793 in the Second Partition of Poland. It was an uyezd center in Minsk Governorate except brief occupation by Napoleon in 1812. It was occupied by the German Empire on 15 September 1915 during the First World War. After the German defeat, Pinsk was left to the Ukrainian People's Republic. It was occupied by the Red Army on 25 January 1919. However, it was liberated by Polish troops on 5 March 1919 during the Polish–Soviet War. It was regained by the Red Army on 23 July 1920, but it was retaken by Polish troops on 26 September 1920. Up to the Second World War and the Holocaust, like many cities in Eastern Europe, Pinsk had a significant Jewish population: according to the Russian census of 1897, out of the total population of 28,400, Jews constituted 21,100 (approx. 74%), making it one of the most Jewish cities in Eastern Europe. In April 1919, in an incident at the start of the Polish-Soviet War known as the Pinsk massacre, thirty-five Jews from Pinsk were killed by Polish soldiers because the Poles suspected them of being Bolshevik collaborators. This event created a diplomatic incident that was noted at the Versailles Conference. It was initially the center of Polesie Voivodeship. The center was moved to Brzecs after a fire in 7 September 1921. Pinsk became part of the independent Poland in 1920 after the Polish-Soviet War. In 20 September 1939 Pinsk and the surrounding territories were occupied by the Red Army of the Soviet Union as part of the Hitler-Stalin (Ribbentrop-Molotov) pact that started World War II. At this time, the city's population was over 90% Jewish. From 4 July 1941 to 14 July 1944, Pinsk was occupied by Nazi Germany and was part of Reichskommissariat Ukraine. In 1939, the population of Pinsk totaled 30,000, of whom 27,000 were Jews. Most of them were killed in late October 1942, during the liquidation of the Pińsk Ghetto. Ten thousand were murdered in one day. In 1945 with the new post World War II border adjustments of Poland, Pinsk became part of the Soviet Union. It was center of Pinsk Oblast between 1939 and 1941 and again between 1944 and 1954 before joining to Brest Voblast. 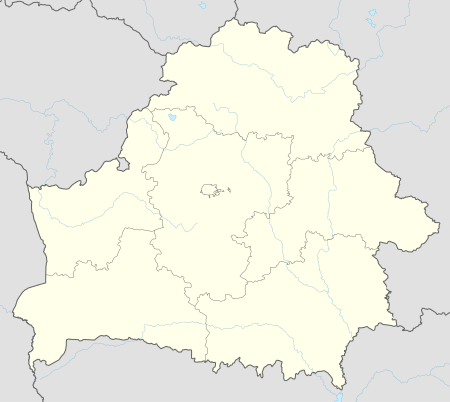 Pinsk has been part of Belarus since its independence from the Soviet Union in 1991. Three main sights of the town are lined along the river. These are the Assumption Cathedral of the monastery of the greyfriars (1712–30) with a campanile from 1817, the Jesuit collegium (1635–48), a large Mannerist complex, whose cathedral was demolished after World War II by communists, and the Butrymowicz Palace (1784-1790), built for Mateusz Butrymowicz, an important political and economical figure of Pinsk and Polesie. The church of St. Charles Borromeo (1770—1782) and St. Barbara Cathedral of the monastery of the St. Bernard order (1786-1787) are placed near historic center in the former Karolin suburb (now part of Pinsk). The foremost among modern buildings is the black-domed Orthodox cathedral of St. Theodore. 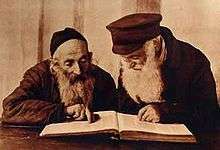 Baruch Epstein (1860-1941), Bookkeeper, Rabbi and prolific Jewish scholar, best known for his Torah Temimah commentary on the Old Testament (Torah). Sir Isaac Shoenberg (1880–1963), electrical engineer born in Pinsk, principal inventor of the first high-definition television system, as used by the BBC. Leo Zeitlin (1884-1930) composer, born in Pinsk before studying in Odessa and later moving to the U.S.A.
↑ "Belarus - The regions of the Republic of Belarus as well as all cities and urban settlements of more than 10,000 inhabitants.". City Population. Retrieved 2014-04-11. ↑ "Weatherbase". Weatherbase. Retrieved December 11, 2012. (in Belarusian, Russian and English) T. A. Khvagina (2005) POLESYE from the Bug to the Ubort, Minsk Vysheysha shkola, ISBN 985-06-1153-7. Wikimedia Commons has media related to Pinsk.